We hope you are all finalising your arrangements for the festive season; we at Henwood Court “donned our gay apparel” and partied the night away last night, but to plagiarise more words from the traditional Christmas Carol, “tis the season to be giving” and making gifts to charities cannot only benefit others, but can also have beneficial impact on your own financial position too. For basic rate tax payers, if you give £100, HMRC adds £25, so £125 is able to be used by the charity. For high rate tax payers, if you make gift of £100, the charity again gets an additional £25 from HMRC, but you as the donor can also reclaim £25 tax, so the actual cost to you is £75 with the charity getting £125 towards their work; an additional rate (45%) income tax payer can claim back £31.25. 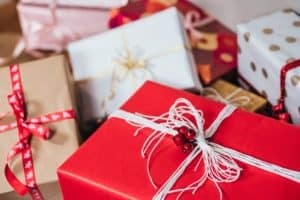 But that’s not all; making gift aid contributions can also reduce your ‘adjusted net income’ which can have a positive impact on the High-Income Child Benefit charge (HICBC) and your personal allowance. The High-Income Child Benefit charge was introduced in 2013 and is based in broad terms, on each parent’s total taxable income less any gross gift aid contributions and gross pension payments which have received relief at source. Where a person, or a couple, is in receipt of child benefit, and either has adjusted net income of between £50,000 and £60,000, the HICBC applies. The amount of the charge will be a 1% deduction of the amount of Child Benefit for every £100 of income which exceeds £50,000, meaning that for those with income exceeding £60,000, they will be liable to the charge on the full amount of Child Benefit. If through a combination of gift aid and personal pension contributions the partners can get their adjusted net income below the threshold of £50,000 then the will receive the full amount of any child benefit without any tax charge. In a similar vein, for an individual affected by the loss of their personal allowance as they have ‘adjusted net income’ between £100,000 and £123,700, both gift aid contributions and personal pension contributions can minimise the impact of this effective rate of tax of 60%. In the case of the latter this in effect gives tax relief for personal pension contributions into a relief at source scheme of 60%. The old adage of “it is better to give than receive” still holds true, however for anyone with income over around £46,500 there is an additional positive outcome for the ‘giver’.